Korean artists Lee Bul, Suki Seokyeong Kang and Anicka Yi -- are joining the main exhibition of 2019 Venice Biennale, titled “May You Live in Interesting Times” and curated by Ralph Rugoff. The three female Korean artists are among 83 artists -- with some working in pairs and groups -- who will have their works at the Ralph Rugoff-curated exhibition at two venues, the Giardini and the Arsenale. One of Korea’s most well-known artists, Lee is no stranger to the Venice Biennale. In 1999, Lee’s works were shown at the Korean Pavilion as well as at the main exhibition curated by Harald Szeemann. For the upcoming show, Lee is expected to bring three works, according to PKM Gallery in Seoul. “Scale of Tongue,” previously shown at her retrospective at London’s Hayward Gallery last year, is one of the Venice-bound works. 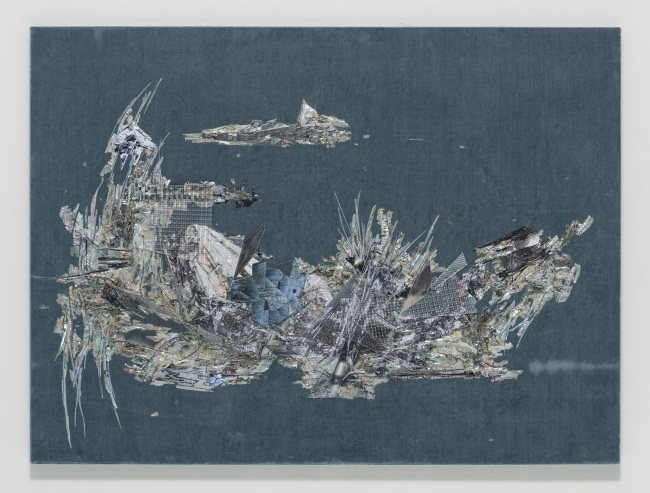 An installation work made with a metal armature and fabrics of different textures draped over the metal, “Scale of Tongue,” resembling the hull of a ship, vaguely references the Sewol Ferry disaster of 2014 in which more than 300 people were killed. “Untitled (Willing To Be Vulnerable -- Velvet #6 DDRG24OC),” a painting, will also be shown at Venice. The third piece to be shown has yet to be disclosed, but it has been reported that the work, to be exhibited at the Arsenale, is a four-meter high installation work created with barbed wire taken from the guard posts inside the Demilitarized Zone that were taken down following a military agreement between the two Koreas. “Land Sand Strand” is the artist’s visual interpretation of both Jeongganbo -- a music notation invented by King Sejong -- and a collection of refined movements from Korean Spring Oriole Dance or Chunaengmu, a Joseon-period court dance. On the opening day of the exhibition, a performance -- what the artist sees as “activation“ of the space -- will be held. Kang’s “Grandmother Tower,” the artist’s oldest series, which started in 2010, will be shown at the Giardini. 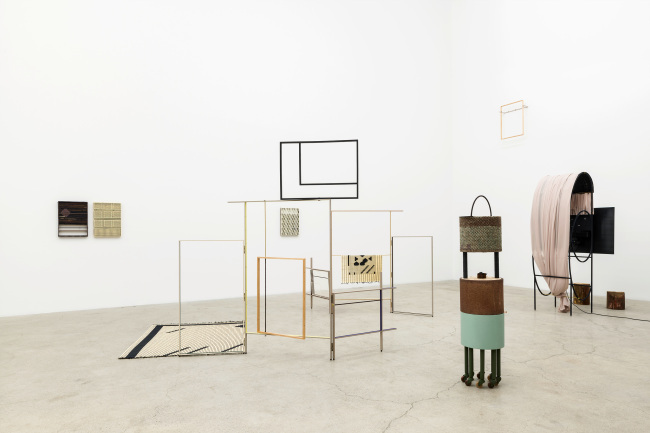 The series includes sculptures of winding thread on found and reproduced food trolleys and other materials, which are put together to resemble Kang’s grandmother’s posture and height -- an homage to a woman born in the 1920s, who lived through Japanese colonial rule and the Korean War. Korean-born and New York-based conceptual artist Yi, the recipient of the 2016 Hugo Boss Prize, whose works will go on show at the main exhibition, is widely known for her collaborative pieces with biologists and chemists.